You can have the perfect location to organize your thoughts with this writing desk in your bedroom. 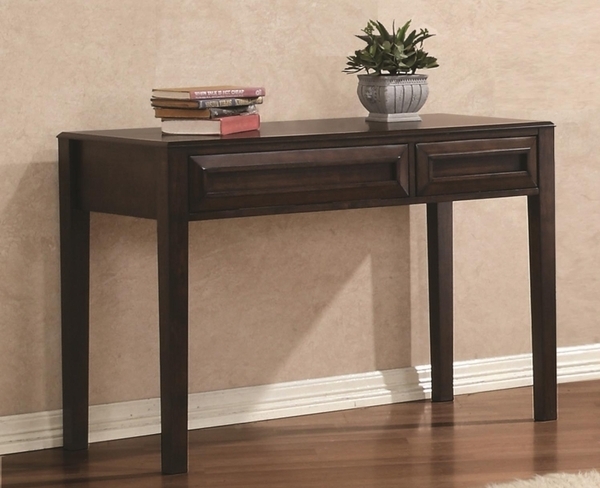 The piece carries a gorgeous maple oak finish and features tapered legs as well as a clean surface ideal for writing, drawing, browsing the internet and reading. Plus, the two drawers are great for keeping pens, paper, staplers, flashdrives and other miscellaneous supplies. Make your youngsters complete with this writing desk.